I’ve been waiting patiently to write this post for months. 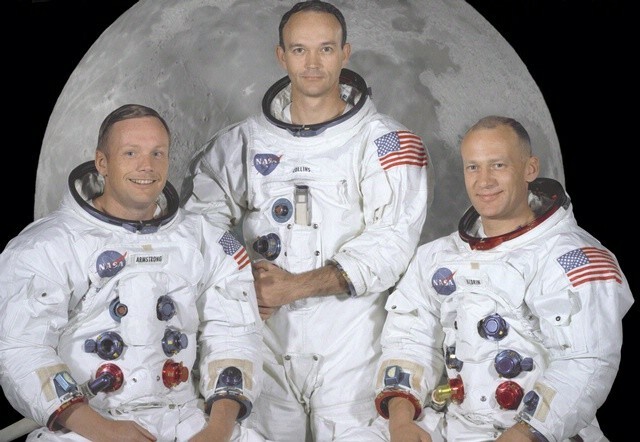 The 45th anniversary of Apollo 11 is here and it gives me a chance to talk about two of the most influential and inspiring people I have ever known. 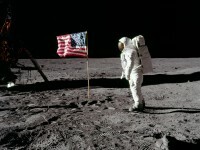 Like most of us old enough to remember it, I know exactly where I was when Apollo 11 touched down on the moon. I was just a very young kid spending the summer at a YMCA camp. Like millions of other people around the world I sat mesmerized by what I was seeing in the grainy images on the television screen. I have always been interested in aviation and space. And like so many was stunned and amazed at the accomplishment. I was certainly proud for America but also recognized it as an watershed event for all human beings. 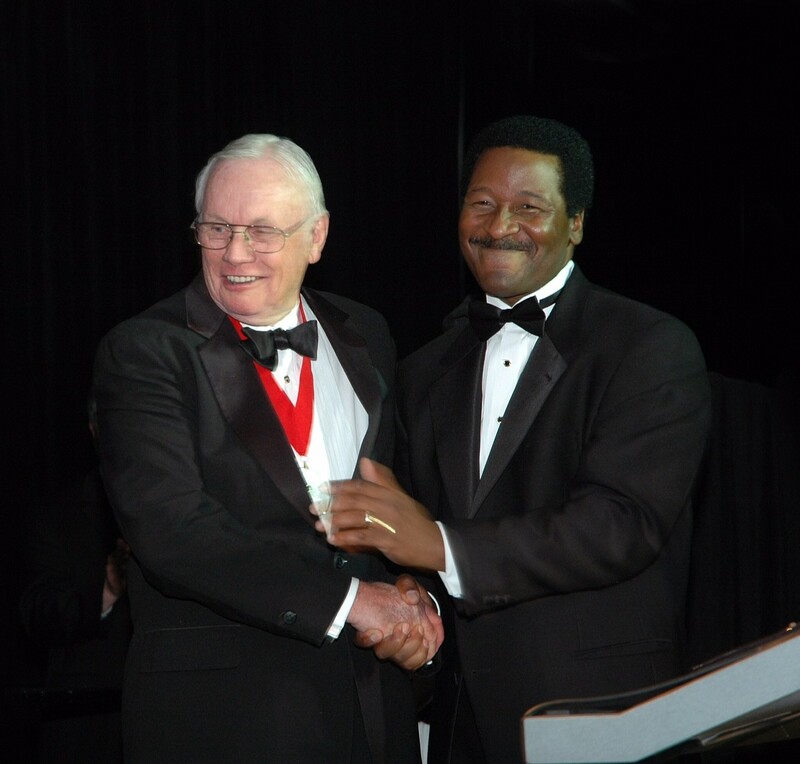 Soon after I began working at the TV station, I was asked to join the Board of Trustees of the Museum of Flight in Seattle. Little did I know that later I would come to taking on an integral role for many events at that great institution. 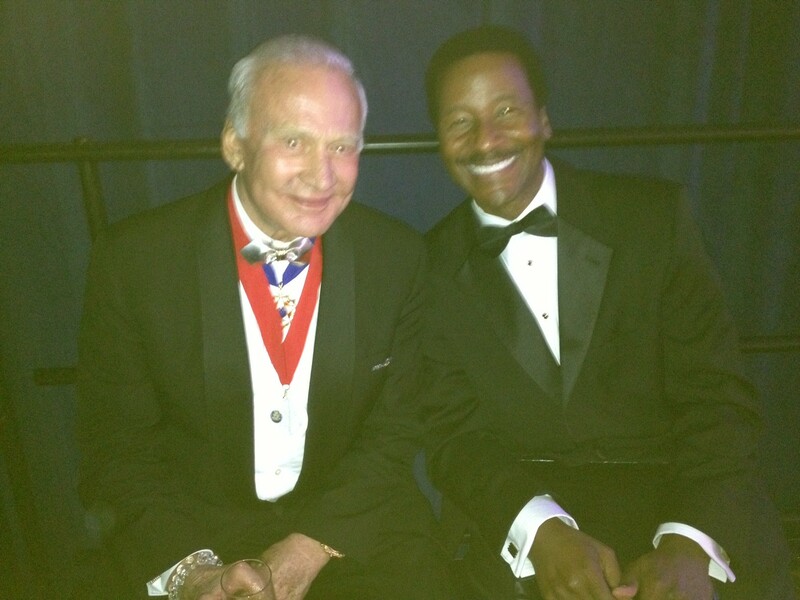 There is no question that my relationship with Neil Armstrong and Buzz Aldrin, which came as a result of my involvement at MOF, is one of the highlights of my career and nothing that I ever dared dream would ever happen to me as I watched those many years ago. As you may know, Neil Armstrong, the first human to set foot on the surface of the moon, passed away on August 25th 2012. He was a huge supporter of the Museum of Flight. I not only met him, but we did a number events together and I considered him a friend. Given the magnitude of his historical status I was amazed to find him to be so unassuming and modest. Like so many great people he speaks only of the importance of all the brilliant scientists and technicians who helped made it happen and downplays his own remarkable contribution. 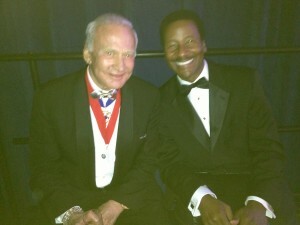 The same can be said about the command module pilot, Michael Collins and of course Buzz Aldrin, who is also a friend. He too is modest and taciturn about their accomplishment. I can tell you based on the stories that they have told me there was nothing guaranteed about what they did. In this age of incredible technology we take many things for granted. But at that time they were not just on the leading edge they were literally close to the bleeding edge. Just the fact that they were able to find an unobstructed place to land moments before they ran out of fuel, is something that I can hardly imagine. They looked so confident next to that flag in spite of that brush with death. In fact even they gave themselves about a 70% chance of surviving. We are fortunate that Buzz is still around and very much an advocate of continuing to explore and discover. For me the few photographs that I have with them and the other items they have given me, are are treasured mementos. The courage that it took and that one giant leap for mankind is something that we should all remember and celebrate. 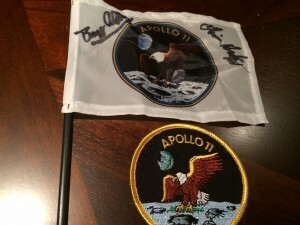 The NASA supplied group photo you show here, I have it, with Neil Armstrong and Buzz Aldrin’s autograph. I haven’t been able to get Michael Collins yet.